The former Bradlee School was the fourth school house erected in the Ballardvale School District and the first constructed of brick. The earliest building used for a school in Ballardvale was on Lowell Road, now called Clark Road. The first school house was built in 1795 for the Osgood District and was located on the Osgood farm on Osgood Street. The building may have been the school that Revolutionary patriot James Otis taught in, formerly on Osgood Farm. The Osgood District was about to be divided, to create a new the Ballad Vale School District. On Feb. 23, 1837 the men of the district had their first meeting in the Osgood District school. It has been stated that they purchased the old school and moved it to Ballardvale. It was located on Clark Rd near the corner of Chester St. The School District was officially created at a special town meeting on Nov. 13, 1837 by petition of; John Marland, Daniel Poor, M. D. Barnes, Andrew Scott, Joseph Clark, H. P. Chandler, Leon Davis, Samuel L. Barnes, John Harnden and others. 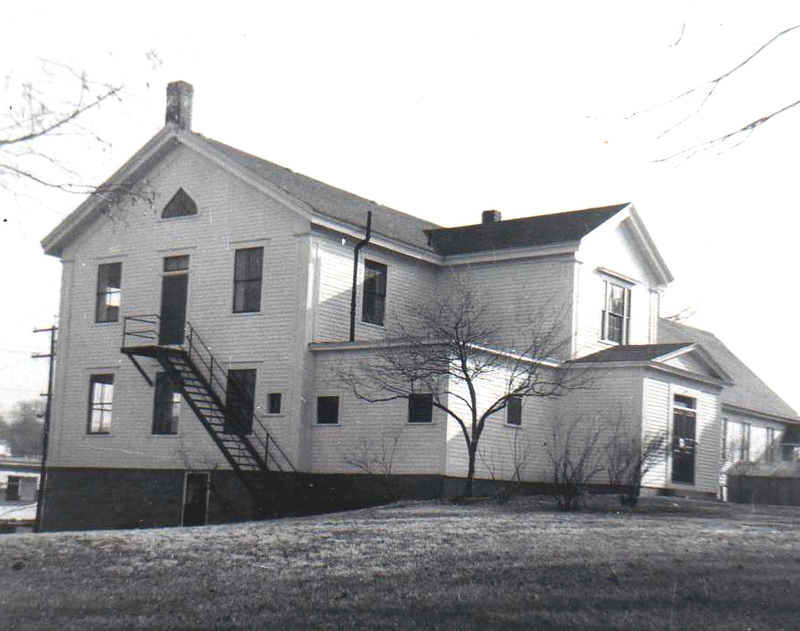 The schoolhouse was later replaced in the summer of 1848 by a two story, three room, school building located facing Center Street next to the Ballardvale Church. The building lasted only six months, destroyed by fire on Feb. 21, 1849. 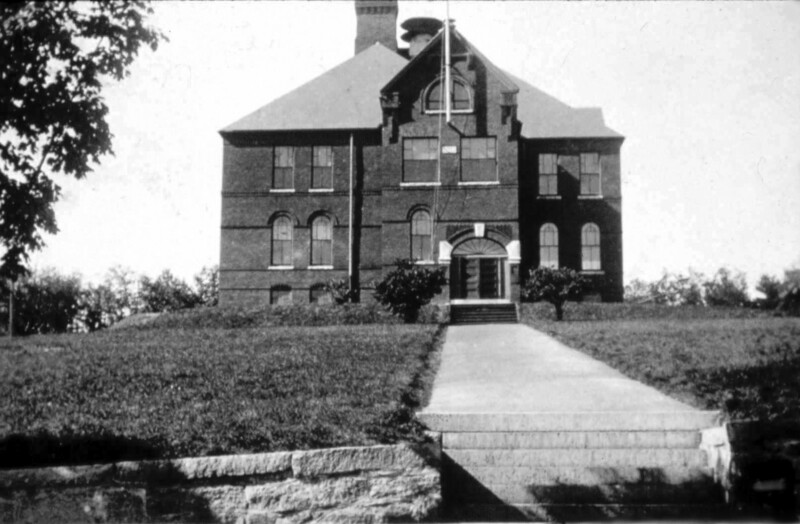 It was rebuilt on the same spot and completed on July 3, 1849 but slightly larger with four classrooms. The basement, built into the hillside, and fronting onto Andover St. held two stores. In Feb.1851 the district voted to rent out the unfinished basement for two years to Mr. Haskins. He was allowed $200 to finish the room and $100. per year rent. The Hall on the second floor over the school rooms was rented to Lawrence Whittaker for two years at a rate of $50.per year. 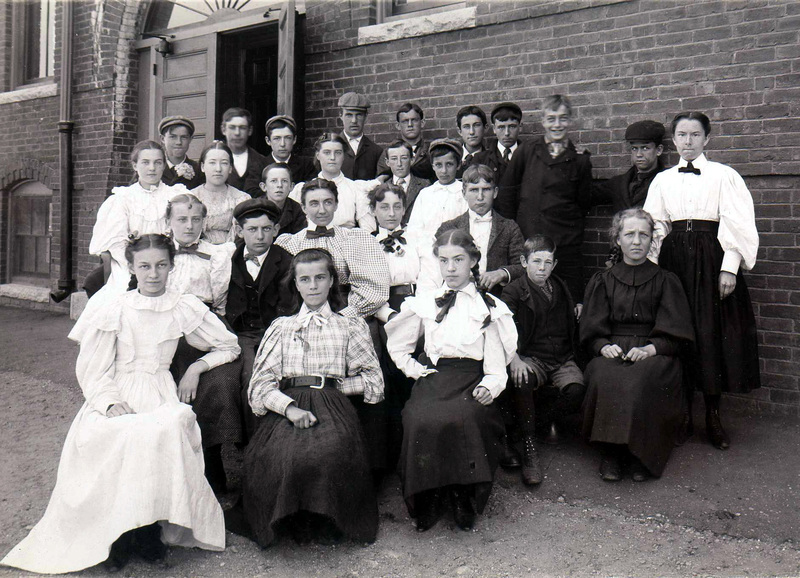 The schoolhouse functioned as a school until 1890 when replaced by Bradlee School. The former building was used as the Ballardvale Community Center and branch library of Memorial Hall Library. The basement stores still occupied that space and brought in income for the Town. The Andover Beverage Barn was one of the last tenants before the building was razed in February 1981 and is now part of the Ballardvale Green. AT -March 8, 1889 pg. 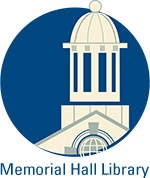 4 - At Town Meeting, Article #15. - As to the Ballardvale school-house, Mr. Holt of the School Committee read a letter from the State Inspector of Public Buildings, stating that is was unfit for school purposes, and it was voted that a committee be appointed by the Chair, who shall in connection with the School Committee recommend a location and procure plans and estimates for a new school-house at Ballardvale, and report the same to a special meeting of the town to be held within forty days next ensuing. The Chair appointed Jos. Kintz, John H. Chandler 2nd, Geo. Warren Cole, and Wm Reagan. The site chosen belong to Joseph W. Smith, son of John Smith of the Smith & Dove Manufacturing Co. The lot was sold to the town for $400. In the June 14, 1889 School Report - two drawings appear on pg. 2, one of Central Grammar School (Stowe) and Ballardvale Grammar School (Bradlee). 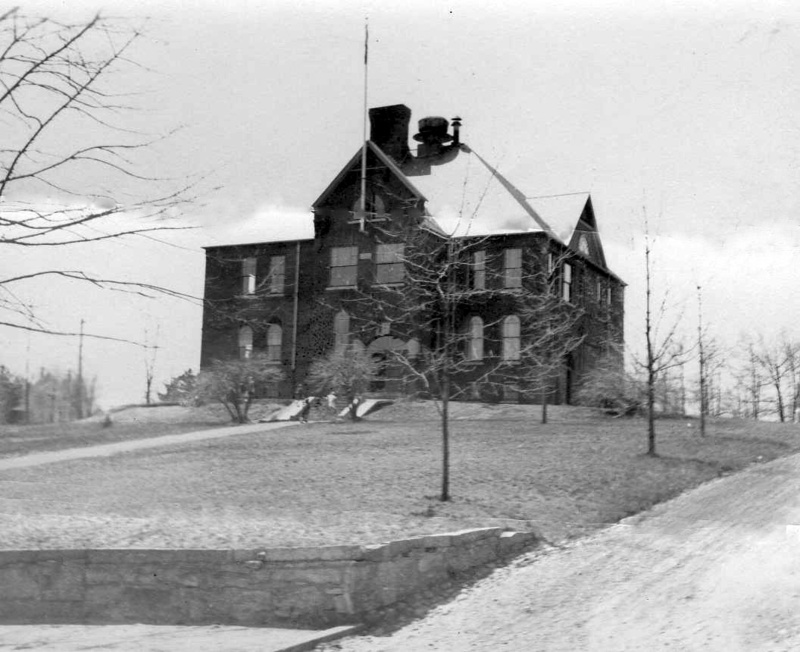 The Ballardvale school building was designed by George G. Adams of Lawrence, MA. Merrill & Cutler of Lowell submitted designs for both schools but was awarded the contract for the Central Grammar School. July 12, 1889 AT Ballardvale – The new schoolhouse, as contracted for will be built of plain red brick, and of Gothic style of architecture. There will be six rooms, each capable of seating 42 pupils, two of these, in the second floor, will not be divided at the present but can be used as an exhibition hall, etc. It will be a pretty building and an ornament to the village. The cornerstone laid 1889. Ballardvale School Report for the year 1890 p. 12. 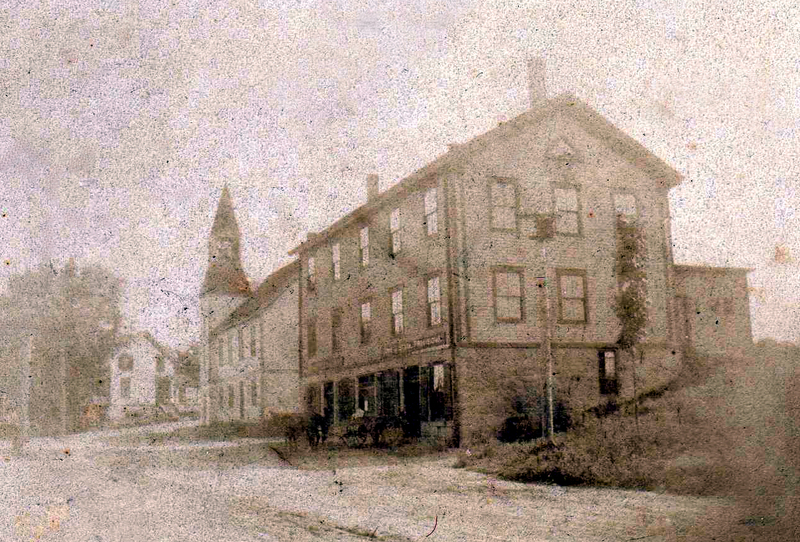 The new building was completed in March 1890, at a cost of $14,350. and was occupied immediately. The ground around this building need considerable grading, and the road leading up to it to be put in a much better state of repair. Some grading has been done, but very much more in necessary. The basement should be relieved of the debris with which it abounds, and cemented. The school is a credit to the place, and marks a new ear in the educational affairs of that part of town. I would recommend an appropriation for the above mentioned grading and improvement." Andover Townsman:Oct. 11, 1889 - col 5 - "The rafters are in place on the new school house. The view from the top of the chimney in magnificent, as it is far above any natural or artificial elevation in the village". 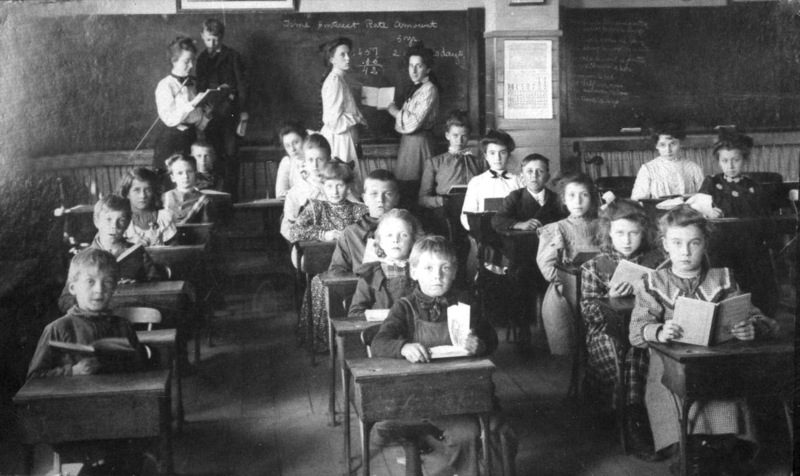 Teachers in 1889 - Grammar - Florence Ayer, Intermediate Susan Carter 1 term and Nelle L. Buck 2 terms, 1st Primary - May F. Brown, and 2nd Primary - Annie O. S. Clemons. In 1890 on E. S. Carty had replaced Miss Buck has Intermediated teacher. - Bradlee held classes K-8 grades. The last teachers at Bradlee in June 1958; Lionel Goulet Principal, taught grade 5, Margaret C. Burnham - Kindergarten, A. Freda Bisbee Gr. 1, Mary B. McCormick Gr. 2, Alice G. O'Toole Gr. 3, and Anne M. Hayes, Gr. 4. Grades 5 and 6 were bused to Stowe School. Lionel Goulet would become the first Principal of South School. AT July 3, 1958 -p. 9 -Will Retain Bradlee School - The Bradlee School will be boarded up but retained by the School Committee for possible future use. The Committed decided to retain control of the structure, which will be vacant this September when the South School opens. Steadily increasing school population and uncertainty over future demands were cited as reasons for keeping the building in reserve. 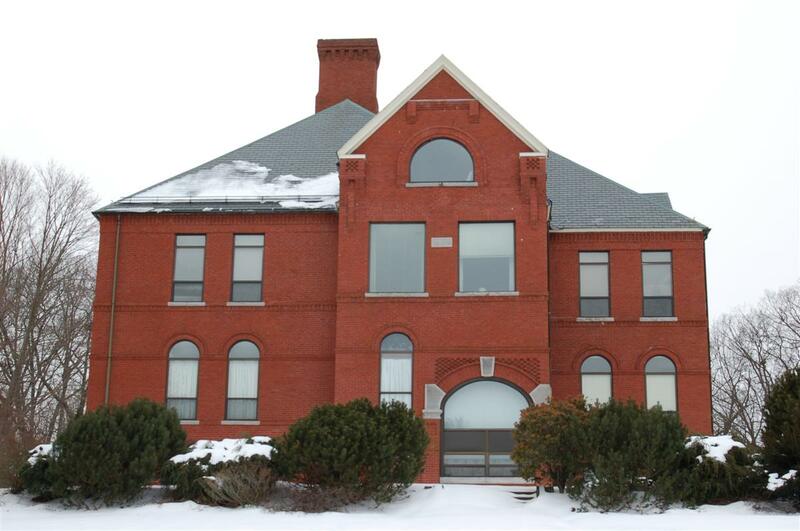 Post 2128m Veterans of Foreign Wars, had received the Selectmen's assurance that its request for use of the building would receive serious consideration, if the building was released by the School authorities. The Post wished to make the building its headquarters. School Committed later turned the building turned over to Town of Andover. The subject of selling came up in Oct 1964. At Town meeting in 1980 the voters authorized the selling off of the land and building with the emphasis to preserving the building. In Feb. 1981 the property was sold, purchased by Francis P. Reilly for $2900. As the area was zoned residential A the property then needed to be re-zone as Fran Reilly and business partner Augustine "Gus" Sheehey under the name Bradlee Assiciates wanted to convert the school into condominiums. ZBA approved the rezoning on Feb. 17, 1983. Eleven Units were created in the former six room schoolhouse. Architect, Archibald "Archie" MacClaren of Andover, MA was the firm to redesign the interior spaces. Bradlee Condominium - master deed filed April 27, 1983. Bradlee Condo Association - April 1983. The first condo sold was Unit #8 on June 13, 1983 to Maureen Meehan. note by Ruth Sharpe: Sold at Auction in 1981. June 1990, Andover Preservation Award for Adaptive Reuse. Bradlee Condominiums - Apr. 27, 1983 - b. 1667 p. 117 - Master Deed.